In October I had a small trip to Iceland with my parents. This country has such incredible landscape; so pure, untouched, and an incredible beauty in ways no other countries can even compare. With this fresh in my mind, I was happily surprised when Dutch singer-songwriter reached out because she wanted a cellist for her next gig at the Noorderlijk Film Festival in Leeuwarden. I took with me my 5-string electric cello. 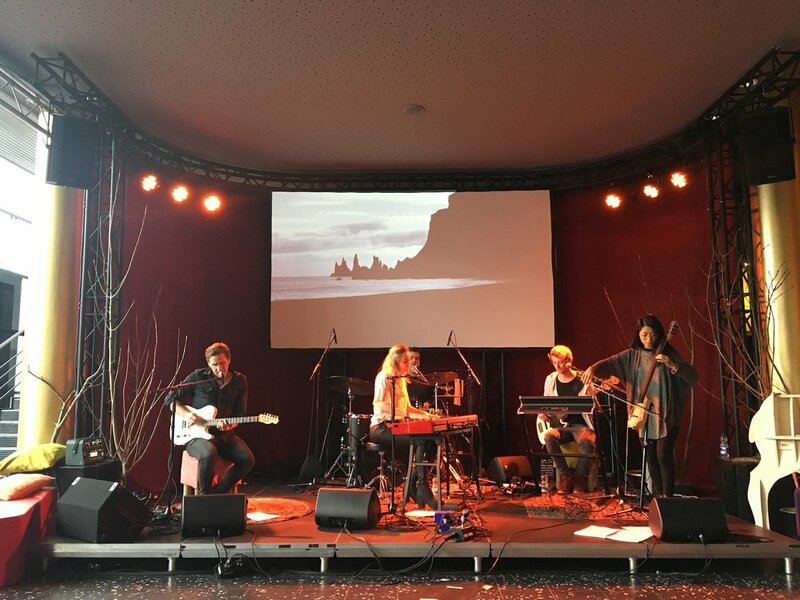 She was performing with her band to the footage of short film 'Andras' shot in Iceland by Jonathan J Smit. Sofia sings dreamily with her running piano lines (think Agnes Obel). Thank you Sofia for having me on stage with you! I look forward to performing at your album launch on September 25 in Utrecht!